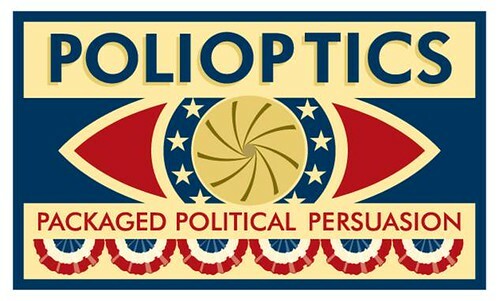 The Story of Polioptics is a 10-part Web narrative based on a multi-media presentation — POLIOPTICS: Political Influence Through Imagery, From Washington to Obama — that debuted on college campuses in 2009. Cue the lights. The week before and after Labor Day always brings out the visualist in politicans and their staffs. Waiting thoughout the summer for vacations to end and for Washington to get back to work, the trained eye can see the product of scores of strategy meetings and conference calls playing out on the small screen. 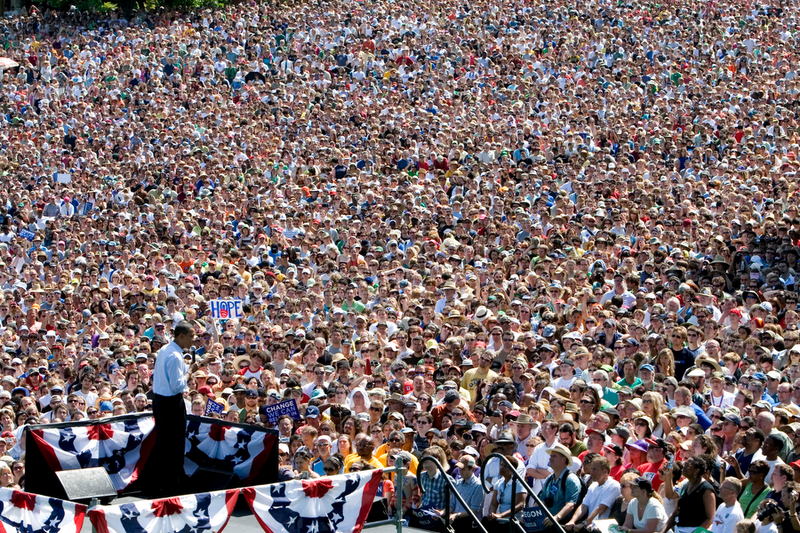 Along with the busy producers of White House imagery, the pundits also return from holiday. A week later, President Obama receives a cadre of Middle East leaders at the White House for the start of another round of peace talks, punctuated by a classic shoulder-to-shoulder “walk out” from the Blue Room of the Executive Mansion. They stride toward the East Room captured, in this frame, by a remote-fired camera belonging to White House photographer Chuck Kennedy mounted on a lighting truss. Beneath their feet, framing their dark suits, is the gold-bordered red carpet that covers Cross Hall. Awaiting them is the White House press corps and a subset of their Middle East colleagues, backed up by a phalanx of still and video lenses ready to distribute the image — albeit from a less exalted angle — to the rest of the world. 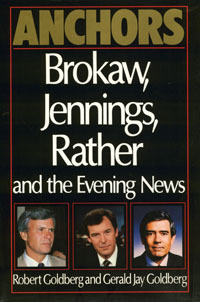 The “B-roll” leads the cable nets and the evening news. 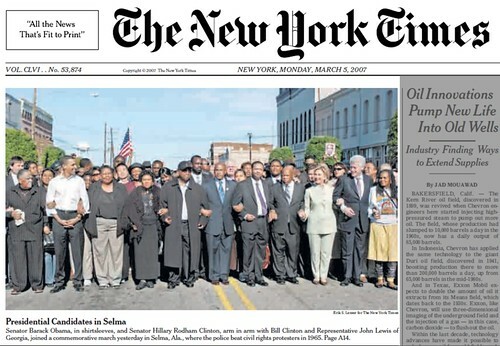 The still image dwarfs the front pages of most major newspapers. “So despite all the pretty words and all the wonderful photo-ops of world leaders sitting down to reason together, hopes do not run high that peace is at hand or even within reach of that final agreement Obama wants to see within a year. Welcome to Polioptics, shining a par can on the theatricality of the political process. With the Internet inflamed by the prospect of another political event in Florida staged for its visual impact, regular readers and viewers of the news often judge what they see at face value. What goes on behind the scenes as these images are devised and manufatured — and willingly distributed by the media — can be equally or at times more interesting. Polioptics is a backstage pass that reveals the history, traditions, strategies and techniques that are an important part of the mix of political stagecraft. This is the first entry in a 10-part narrative that will unfold over the next 30 days, hopefully one post every three days, more or less. The Story of Polioptics is bsed on a series of lectures that I have given since 2009. 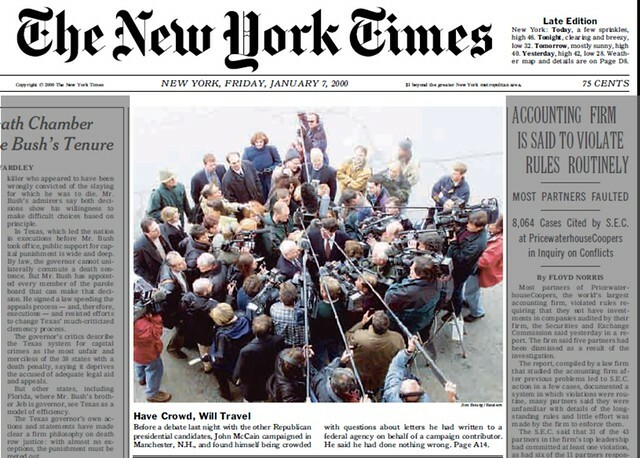 It is meant as a panorama of a slice of political strategy that has fascinated me since I was a boy; that I practiced as a member of the White House staff in the 1990′s; and which, to this day, still captures my imagination as the Internet plays increasing havoc with how people in the public eye communicate their message. When this 10-part Web version of the polioptics lecture is complete, we’ll decide whether or not to launch a regular site, based from this series, to keep shining a light with anyone who shares our interest in how images influence discourse. 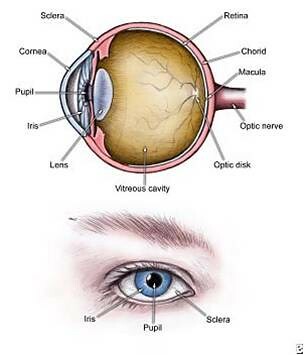 About this term, polioptics. Marketers never let you leave without stamping a brand on the concept they’re selling. So, based on the marketing discipine, we’ve coined a brand name and logo for influence-through-image: marry “politics” with “optics” and you have “Polioptics.” After all, if a definition of politics is “the art or science concerned with guiding or influencing governmental policy,” we’ll argue that the job of influencing requires both art and science, and that images often count just as much as words. The same maxims that rule political marketing govern brand marketing, and can spell the difference between success and failure. I have modest goals with Polioptics: First, I want to show how what you see in politics—and its cousin, brand marketing—influences you. Through these posts, we’ll show how politicians exploit images to impact perceptions, especially in the Internet age. Sometimes, we watch television—or glance at a newspaper, magazine or Web site—and allow the image to influence us subconsciously. Don’t let the show snow you. If you stay with this series, when you finish reading Part 10, you should be able to question the images just like you question the words and, hopefully, you’ll be able to deconstruct the manufactured moments you see on screen. Let’s get started, not with the present, but with the past. Buckle your seatbelts because it’s a long trip, stocked with twists and turns. For now, put Barack Obama and the East Room out of your minds. Give this old 60-second spot, first aired when I was 19 years old, a quick look. The images on screen are the story. They conjure memories, emotions, opinions. 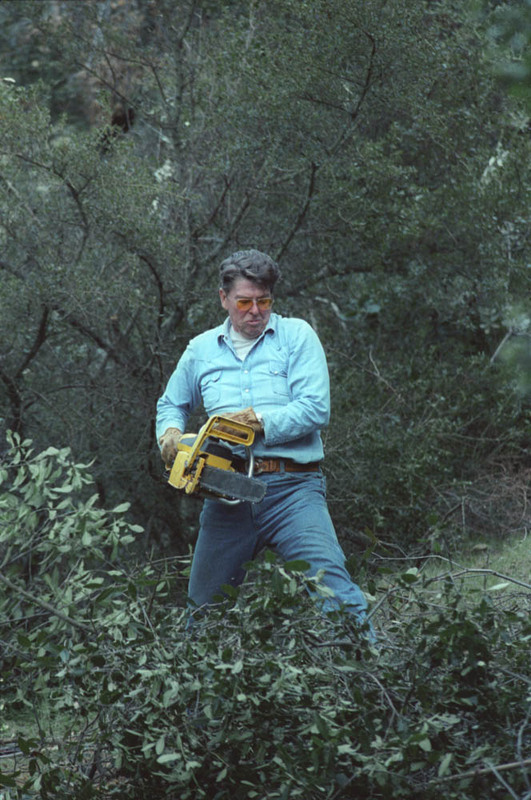 Those images of Reagan capture in only a few frames so much of what made him so likable to college students of my day and what makes his image endure. Now, fast forward 24 years to watch the first image-laden minute or so of this one, which first aired when I was 43. Amber waves of grain. Rural highways. 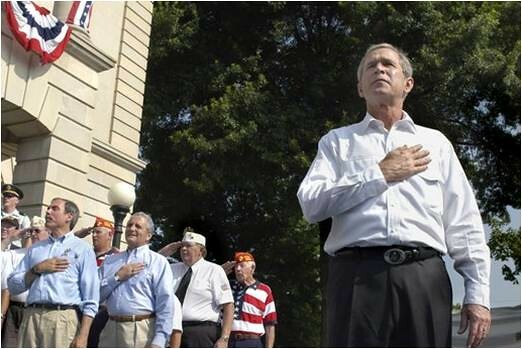 Clapping hands amid handheld American flags, focusing in on a wedding ring. A veteran riding by. Subdued soundtrack. Authoritative voice over. Ronald Reagan and Barack Obama. State-of-the-art 1984 – Hal Riney’s spot for Reagan’s “Morning in America” campaign. 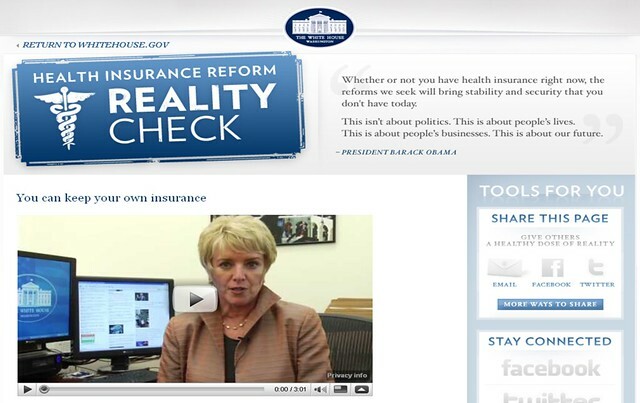 And state-of-the-art 2008 – the intro to Barack Obama’s 30 minute infomercial. A quarter century separates them, but they’re linked more closely than we realize. My goal isn’t to sway you toward appreciation or cynicism, but I doubt you’ll stay on the fence. You’ll say politicians play the game by the rules they inherited. Or you’ll recoil about how much effort goes into image making. The shot of John Edwards is a telling one. I took this picture on a beautiful August day in 2007 about an hour west of Des Moines. I was covering Edwards’s campaign and witnessed a classic set up: an advanceman friend of mine stood out of the camera’s immediate view and tossed a pigskin to the candidate, who caught it and hurled it back, Bart Starr-style, in front of an empty storefront with a reflective glass coating. Though there was absolutely nothing newsworthy about this moment, the news photographers following Edwards—sensing a saleable moment—crouched in a scrum and shot Edwards from a low angle, capturing the athletic stance (read: “youth”) and the reflection of Edwards’s red, white and blue wrapped campaign bus standing a few feet away (read: America’s boy). A totally manufactured shot, with the photographers the conduit to audiences back home. The Polioptics lecture uses as a bookend a more recent vignette from my several decades of political involvement: Port of Spain, Trinidad, the gathering of hemispheric leaders for the Summit of the Americas. It’s April 17, 2009, about 6:15 in the evening. I’m standing in the Hyatt hotel a few feet away from President Barack Obama. 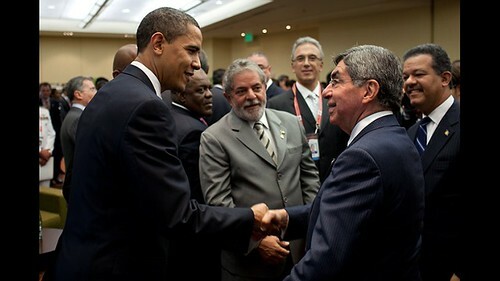 There he is with Presidents Arias of Costa Rica and Lula of Brazil. In the background, barely visible on the left side of the frame standing behind a military officer in dress whites, is the President’s lead advance man in Trinidad – yours truly. It’s quite a contrast from a moment in Prague in the Czech Republic in 1994, when a much younger man found himself nestled up closer to power. 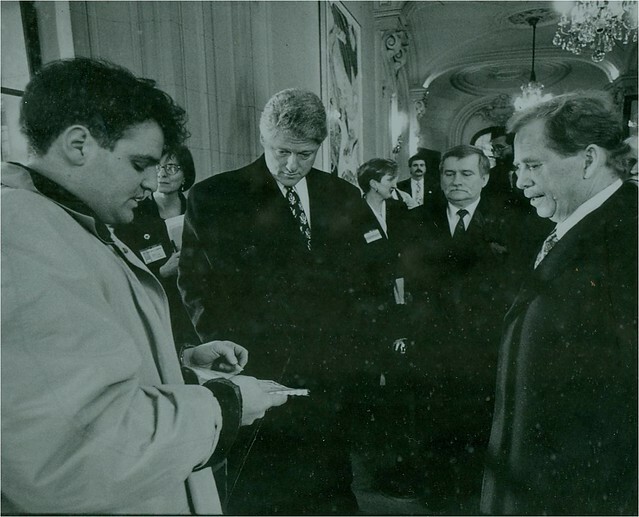 That’s Lech Walesa and Vaclav Havel along with a certain U.S. President and his director of production for presidential events. I’m doing what I usually did just prior to letting the leaders walk out into the sight of the awaiting cameras and correspondents: offering some stage direction, usually with a diagram, like an NBA coach with his X’s and O’s. If there’s any special choreography I’m going for—the “reveal” of a special prop or a well-timed handshake, for example—it’s at this point that I’ll give the cues to the actors to make the money shot a winner. But things are much different in Port of Spain. My imprint on events will be less noticeable, if I can affect things at all. Obama and his people don’t play the game the way Clinton or Reagan did. It just proves the adage: old advance men never die; they just fade farther into the background. It doesn’t stop a good advance guy from trying. In Trinidad, I dust off my tape measure and graph paper and make a comeback to give the Obama White House an experienced hand for one of their first overseas trips and also to see for myself how things have changed in the image making game. 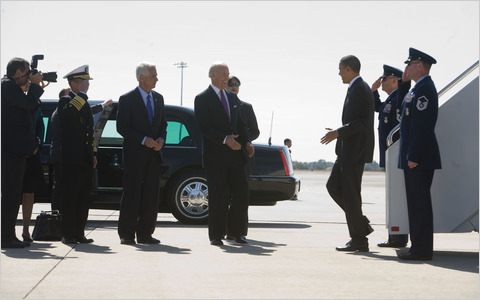 On this trip I’ll try to do for Obama what I did for many years for Bill Clinton: spend a week planning his every step. For 10 days or so, I’m an advance man once again. Advance work — the best job in politics that few people really understand. It’s a behind-the-scenes process of wheeling, dealing and designing to stage political theater amid logistical constraints, security challenges and practical realities of media coverage. 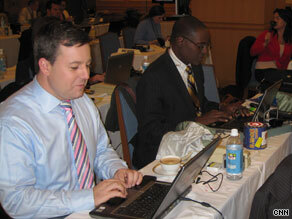 You work with counterparts on the U.S. Air Force advance team to plan the Arrival of Air Force One. You work with you local hosts — in this case, the Trinis — to determine who will greet the plane. You meet with the U.S. Secret Service, who will map out the route the President’s motorcade will take. Those ‘impromptu’ stops at an ice cream stand or a burger joint? They’re all part of the plan. And that’s just the bare bones stuff. Once we get to the site where our event is going to be staged, the advance person’s creativity has a chance to take hold. Is there a blueprint for the visual plan? When I was working at the White House, and in the 1992 campaign in which Bill Clinton won the presidency, I often channeled an architect’s approach to site design, factoring in all of the elements to conjure the images I wanted to create. 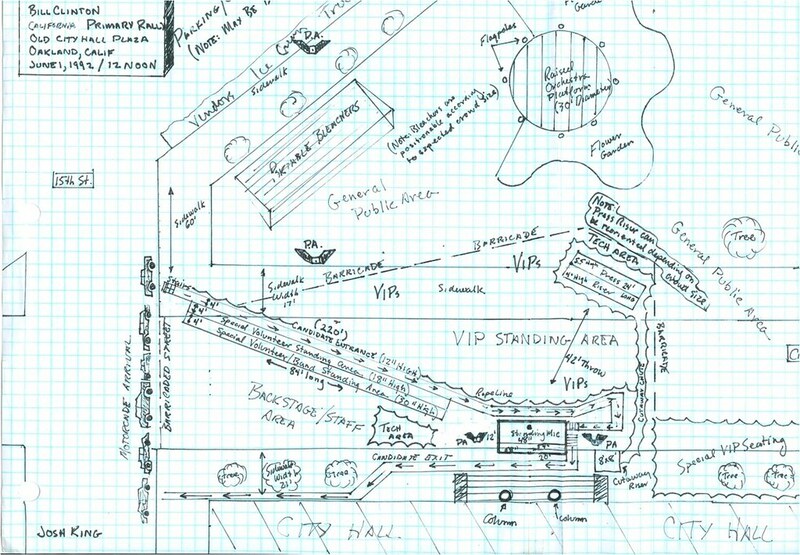 In this drawing for a June 1992 rally in Oakland, California, you can make out how we constructed a 220-foot long, 12″-high Miss America-style runway so that the candidate’s torso would be elevated above the cheering crowd, clearly visible to the news cameras that followed the action on an elevated press riser, with a small ocean of exhuberant attendees in between. Next: how should we raise the crowd ? In this old days, this wasn’t my thing. For one reason, it was damned hard, especially if your candidate wasn’t a rock star (Mike Dukakis) or, at least, didn’t have a rock star (say, Bruce Springsteen or Jimmy Buffett) traveling with him. The audience-recruitment process involved a week of passing out leaflets, organizing busses, cutting radio spots, and negotiating with local leaders to turn out their people to fill the vast empty spaces between the barricades. Today, a lot of the old rules apply, but it’s a lot easier, at least if you’re Barack Obama (rock star) facing John McCain (not a rock star). The Obama effort was helped, no doubt, by his campaign’s mastery of Internet-based organizing tools that would let the staff raise a massive crowd from headquarters through targeted e-mails to visitors to its Web site whose zip code matched the planned coordinates of the event site. Once you’ve built a swell site, the question becomes who’s going to be on stage? You have to give deference to the local pols, but be careful who you invite. Usually, the headquarters’ legal staff and the Secret Service will ’vet’ the backgrounds of those close to the candidate to avoid any embarrassing two-shots. The backdrop is often the topic of most discussion back in headquarters. This shot captured the hours of preparation before the 2008 outdoor convention acceptance speech in Denver, Colorado. It was a clever design, weaving in elements of the classical facade with details that, in the ”tight shot” would suggest an image of Nominee Obama speaking from where he would end up several months later: in the Rose Garden of the White House, the easily-identifiable West Wing collonade as part of the overall set. 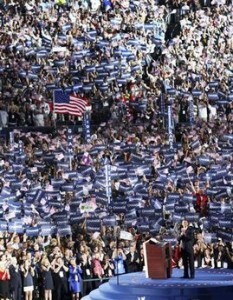 For Team Obama, it was a little too clever. 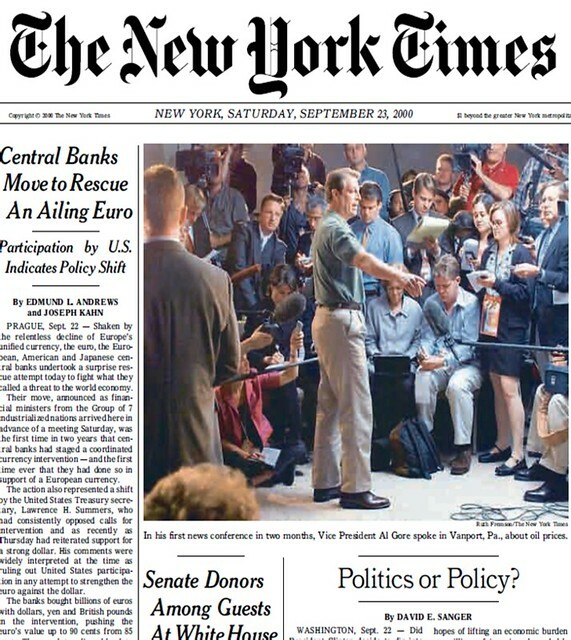 The open-to-press-coverage set up time allowed Republican opposition researchers to brand it—through an orchestrated release to certain Web sites—as a Greek Temple to the Gods, which fit conveniently with the Republican campaign’s counter-branding of its Democratic opponent. There are other questions that advance people ask, constantly checking with their minders at the White House or at campaign headquarters. Should we use a TelePrompTer? What kind of music should accompany the event — is Hail to the Chief on the playlist? What time of day is our gathering? Where exactly, at that time of day, will the sun be in the sky, and what kind of light will it bathe on the candidate? (Please, let it be “magic hour.”) Should the illumination be enhanced, using artificial HMI lighting to do the work of the sun? Have we, in our planning, given the press good angles to shoot the event, good sound to record the goings-on through a multiple input (or ‘mult‘) box and – key to keeping beleagured reporters who have been on the road for long stretches happy – good food? The goal of political stagecraft is to control the image through the lens and, by extension, through the prism of today’s journalism. 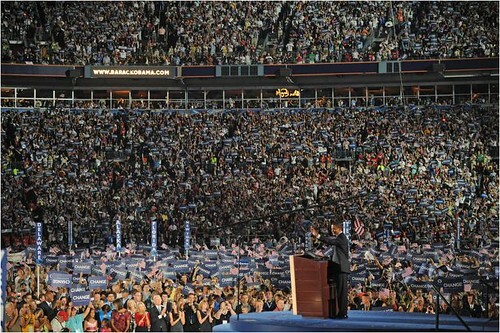 This shot shows what that earlier picture of the set up at INVESCO field in Denver became: the acceptance by Barack Obama as Nominee of the Democratic Party for President of the United States. The anti-Obama machine could pitch the Greek Temple story until the keys on their Blackberrys jammed. When every American woke up the next morning to watch the morning news or read the day’s paper, a variation of this image is what they saw. The shot was taken from one of the “cutaway” stages placed strategically to deliver an over-the-shoulder image: candidate, nicely lit, up-close; placard-waving Democrats in the middle ground; and thousands cheering him on creating a wall of humanity in the stands beyond. Even the Internet URL—WWW.BARACKOBAMA.COM—on the stadium scoreboard reminds viewers why they’re there (and serves as an invitation to donate to the campaign’s war chest). 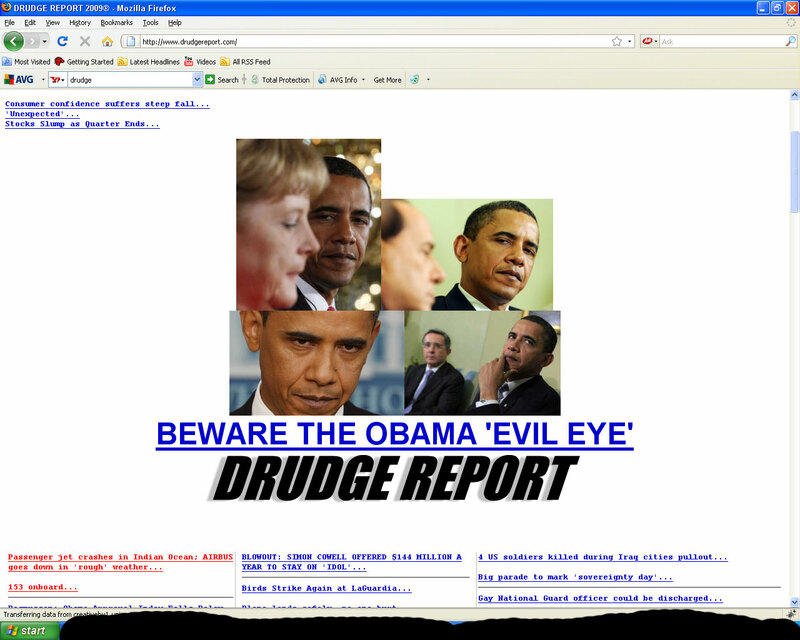 And let’s welcome to the dialogue the elephant in the room: Matt Drudge may be the most important photo editor in news. The image atop his site shapes opinion by the millions of influential readers who visit his site each day. So, given those realities, the image maker’s mission is simple: design what you want seen; and choreograph what you design. 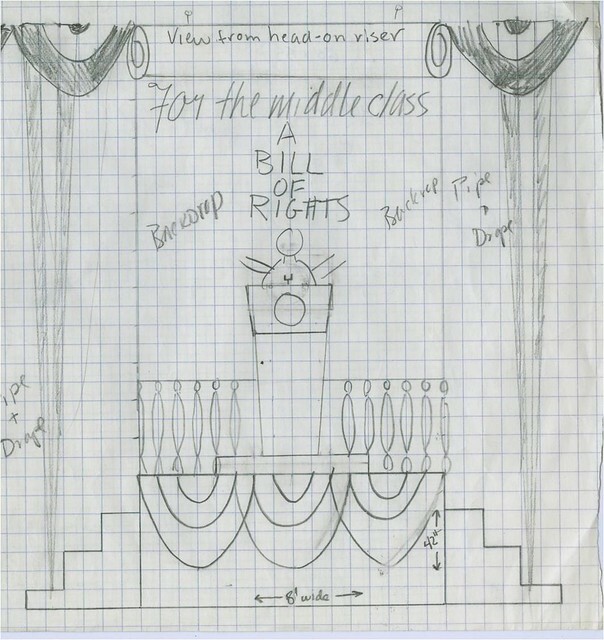 This rough pencil-on-graph paper illustration was created after a White House meeting in January 1995 as a part of President Clinton’s strategy to rebound from his party’s catastrophic loss in the 1994 mid-term elections. 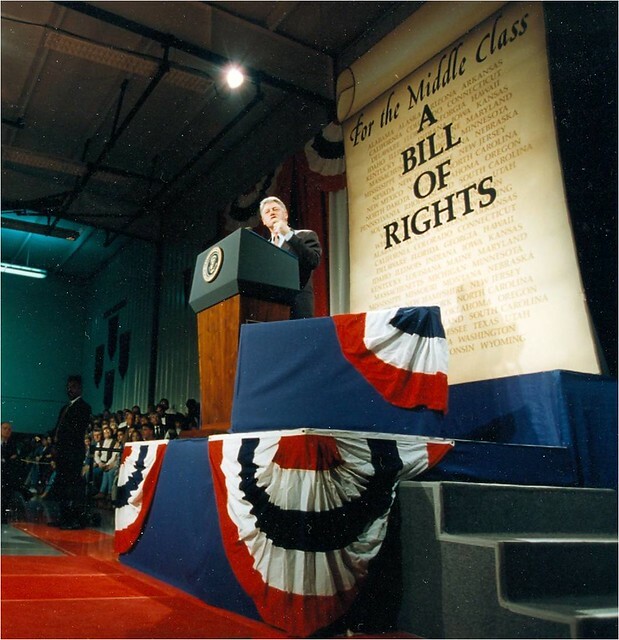 The plan: return to the middle class roots of his 1992 triumph. Don’t be shy about it. Put those two words—middle class–front-and-center where everyone can see them. Lay it out in a parchment-style graphical construct that tugs at the sensibilities of mainstream voters. We took this drawing to Galesburg, Illinois, near where Abraham Lincoln and Stephen Douglas held one of their historic debates, and turned it into this. Like a building emerging from the architect’s drawings, the final result is what we intended to emerge through the lens. 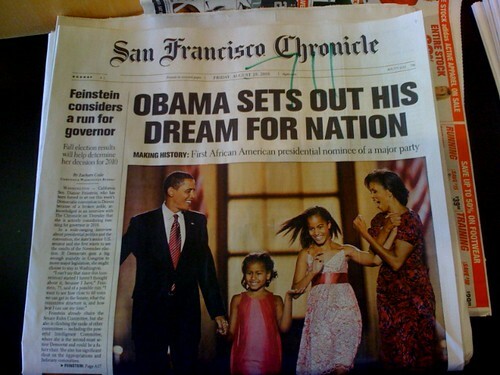 That was 15 years ago. Now, fast forward to the recent past. My problem in Trinidad, more than two decades after I first started asking these questions as a nubie advance man, is that I’ve become what’s called a “dinosaur”: lumbering, largely extinct old beasts walking the political tundra. We old salts have lots of experience, but borne from a time when only two newspapers and three networks really mattered. It’s different now. Anyone can upload stills, video or audio to Tumblr and make news. Senator George Allen sits forever in the political graveyard for his “Macaca” moment. Do you remember this sound bite from the 2008 campaign? It was recorded at a fundraiser by Mayhill Fowler and uploaded to the HuffingtonPost. 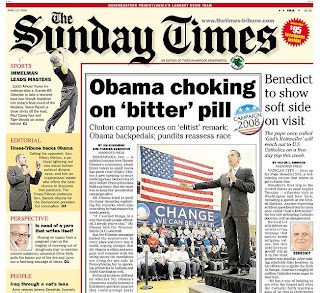 It gave the edge in Pennsylvania to Senator Clinton and became a “bitter” pill to swallow for Senator Obama. 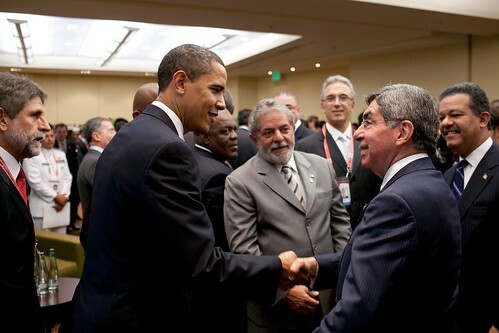 So in Trinidad, I sense what might happen in the minutes following that tête-à-tête between Presidents Obama, Arias and Lula in what, for all who care, was supposed to be a closed-door reception for Western Hemisphere leaders prior to the opening of the 2009 Summit of the Americas. But the problem is, as a volunteer advance guy, I have a lot less control over the events that are about to come than I might have in the past. My mind is replaying the all-time screw-ups, and I’m thinking, ‘What disaster am I about to be tagged with? Could it be Obama in a tank, with my name permanently associated with it?’ What I don’t understand entirely, at the moment, is that Obama is in control and about to make history with a handshake. But let’s set Trinidad adrift and travel back in time. You might guess what’s next and how a camera in unknown hands may make history. We’ll return there in a follow-on post. Josh, Great to know where you are, thanks to Mike Allen. Looking forward to reading more!